Until recently, I’d never had baba ganoush.. in my life. I’d always assumed it to be soft and squishy, bitter or watery (like poorly prepared eggplant! )–analogous to its violet mother nightshade. But a few months ago, a small plate, with a sparkling thread of olive oil draped over the ridges, was placed before me, and I ate–and groaned–without truly knowing what it was. Smoky and creamy without being heavy; garlicky and bright, without being citrusy; ugh! Adoration. As a general rule, I dislike disliking things–especially foods–and I try my hardest to get over these particularities. The more foods I like, right, the more foods I like! I’m so happy to not be a particular eater, but rather one who can pretty much find something anywhere, and revel in the flavor of the individual ingredients. While I’d cooked with eggplant from time to time previously, nothing could prepare me for this eggplant revelation. So shortly thereafter, I dragged O to our favorite nearby Moroccan joint, and we hunched over a shared bowl of baba like street dogs, not sure when our next round would come. I’d read that to make really good baba ganoush, you have to have some type of grill, whatever, hot flames, coals, something like that. Well, at this point in our lives, we have a tiny Weber-to-go grill that we tend to misplace around the yard. Oh, and it was like.. January. A few unsatisfactorily infrequent orders of baba ganoush later, I found a recipe that required neither open flames or grills nor dairy! Since we try to avoid dairy as best we can (and as documented in my blog The Laidback Vegan), we were stoked and dove right in. Simply put, the product was insane. Not as charred-smoky as you might find in a traditional Middle Eastern place, but there was an elegant smokiness surely present that mingled with the pungent garlic, softly sweet, creamy eggplant, nutty tahini, and a touch of lemon to brighten the whole thing. We started eating entire meals comprised of a massive bowl of baba ganoush and raw carrots, radishes, zucchini, and cucumbers. Actually… I violently recommend it. This recipe is a loose one–each eggplant will be a different size, requiring more or less tahini, more or less lemon, more or less salt. And of course, each person’s taste is strongly varied when it comes to something like this. 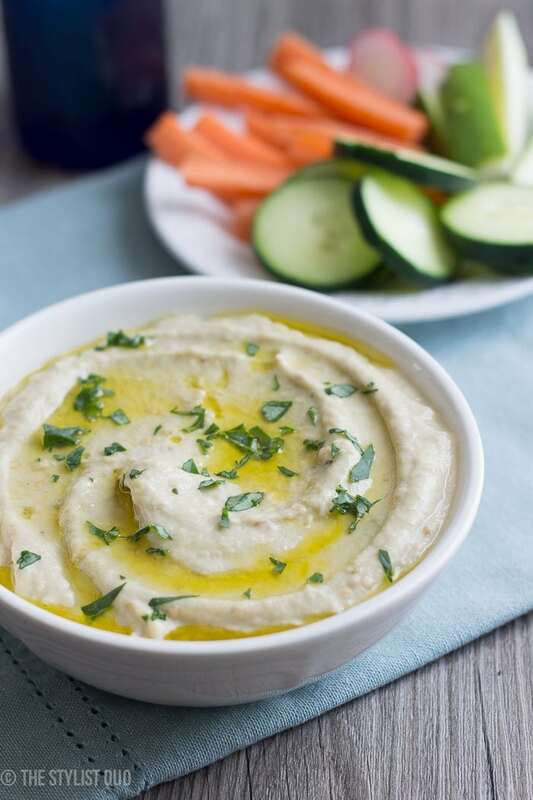 My recommendation is to start low and add smaller increments of the salt, lemon, and tahini, until you’ve reached a flavor that you really love. Does your baba feel a bit heavy and sticky? Try a bit more lemon. Does it feel flat, one-dimensional? Try a bit more tahini. Does it taste properly smoky and not heavy, but just not quite “there“? Add a bit more salt. 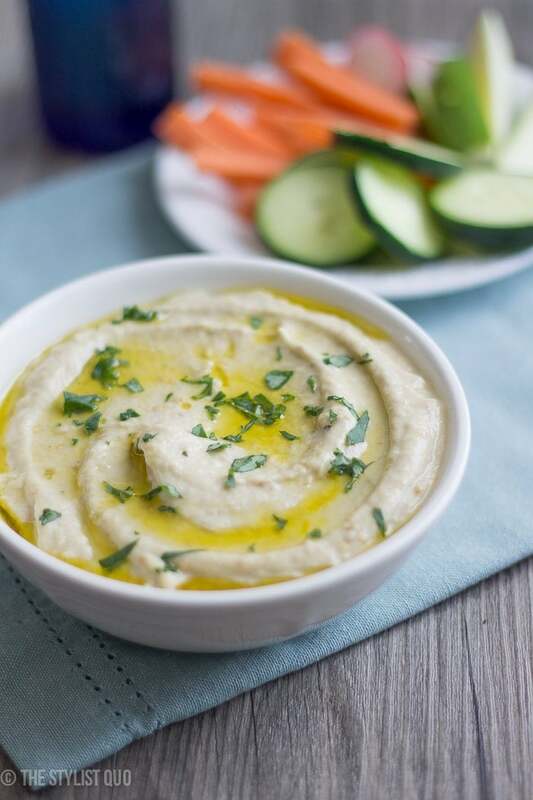 You can serve this with pita or fresh veggies; it’s perfect either way! Try it as a mezze platter for a last-minute get-together: add a variety of olives (try green stuffed with garlic, kalamata tossed in fresh herbs, and dry-cured black olives); a block of feta cubed and tossed in a bit of olive oil and some fresh herbs; a few stuffed grape leaves (dolma; dolmata) from the olive bar; and a bowl of baba ganoush with pita wedges and crudité. Easy, refreshing summer entertaining in a heartbeat! 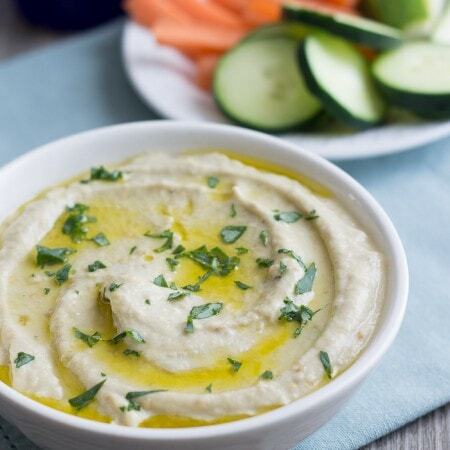 A smoky, yet light, creamy eggplant dip, perfect with pita or crudité. Vegan! Preheat your broiler on high and pierce eggplants all over with a fork. Place under broiler on a baking sheet, turning every so often, until blackened all over. Takes about 15 minutes. Lower heat to 350ºF and bake for about 20 - 30 minutes. Some eggplants are ready earlier than others so check at 20 minutes. Remove from oven and place a large bowl over the top of the eggplant. Let cool to room or handling temperature. The bowl helps the eggplants steam so their skin is easier to remove. Once cool, remove the top and peel the skin off the eggplant and discard. 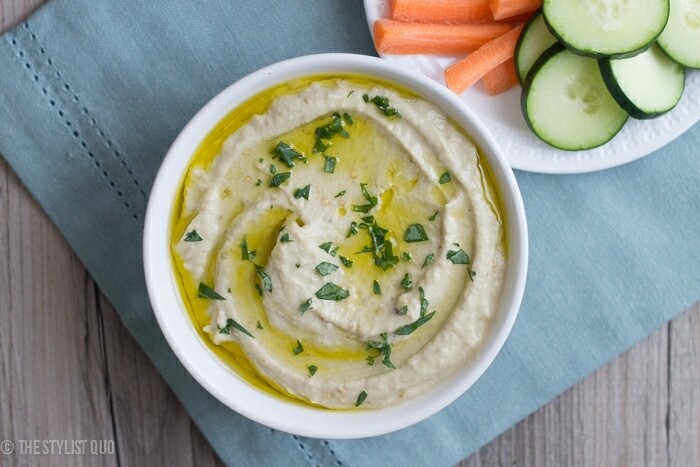 Place in a blender or food process, along with the garlic, tahini, and paprika. Start with the smaller amounts in the ingredient list. Blend until smooth and taste. Add more garlic, lemon, or tahini, to taste. Stir in paprika and 1 teaspoon salt and taste. Add additional salt, if desired (we typically use 2 teaspoons). Refrigerate and serve chilled. I’m about to make this for the third time in three weeks because it is just THAT AMAZING. I love it love it love it. It’s such a perfect blend of smoky, lemony, garlicky, goodness, just like you said! It’s now a staple in my house- I make a batch early in the week and store it in the fridge, and it gets eaten on toast for breakfast and rice crackers for snacks all week. It’s particularly amazing spread on toast with a thick slice of tomato, some thin slices of red onion, a few squeezes of lemon juice, and some salt and pepper on top. Oh my. Thanks heaps for sharing! I’m so glad you like it as much as we do!! Thank you for making and for taking the time to come back and let me know you loved it! Howdy! Our local farmers market had eggplants and I bought 4! With 2 I made baba ganoush from another recipe I found on Pinterest. It was great but all that slicing and salting before roasting was a drag. I cut one big one and two smaller ones in half and placed cut sides down on a big cookie sheet, then pricked all over with a strong fork. Broiled for 15 minutes as you suggest and switched from broiler to oven at 350. Five minutes to go, and I’ll stop by and let you know how this worked out. Recipe looks great! It was wonderful! I brought it to the end-of-summer tennis social today knowing our Lebanese friends would be there. It got all thumbs up! Definitely will make this again! Here are my thoughts: (1) Mine was a little thin in texture, perhaps from the moisture weeping off the eggplant on the cookie sheet. Next time I’ll place the pulp in a sieve to drain before mixing everything in the food processor; (2) It was more orange than the one in your photos, from the paprika, which I added with reckless abandon, because it was smoked and I love that flavor. So a couple of people thought it was hummus before trying it because they hadn’t heard me explain it was baba. Nevertheless, it was great, and cutting the eggplants in half before roasting cut side down saved time because I didn’t have to turn them and could focus on making dinner. Am I missing something? I have a plant full of eggplants that I need to use soon and I really would love to make this. I just don’t see the recipe on the page! Please help! So sorry about that! When we merged blogs, about half of our recipes stayed behind.. grr. All fixed now! What is the herb you used for garnish? Trying this tonight because we got a bunch of eggplant in our CSA! Any tips on storage? Woot! We just keep ours in the fridge in a super airtight container. Other than that I don’t really have any tips. It should keep for a while, though! Delicious! 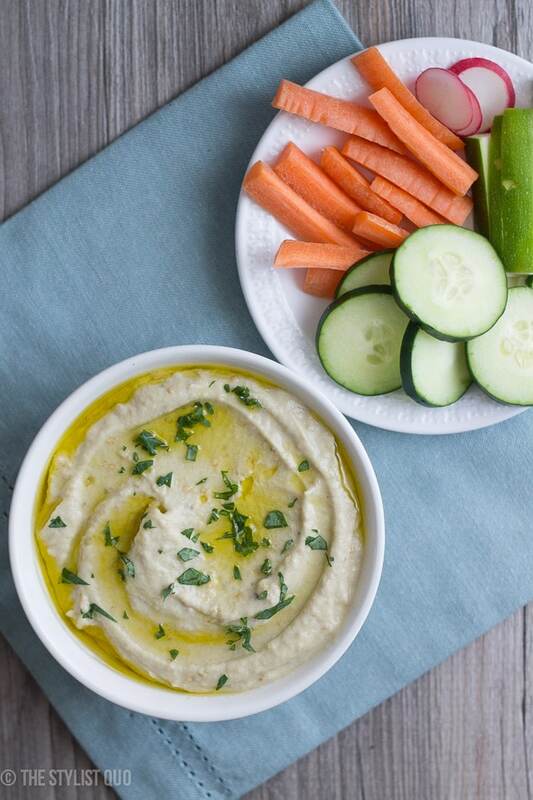 How did you make the beautiful olive oil drizzle look so perfect? I can never get mine to look like that! I’ve never actually had baba ganoush before – I’m a strict eggplant avoider – but this looks like something I could get on board with. Plus, I’m always trying to make myself like new things. Maybe this is a good place to start. It’s a much better option than mushrooms. I mean, it’s a dip, and you make it look and sound so appetizing! I love it.